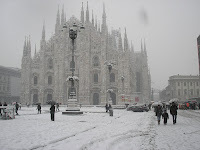 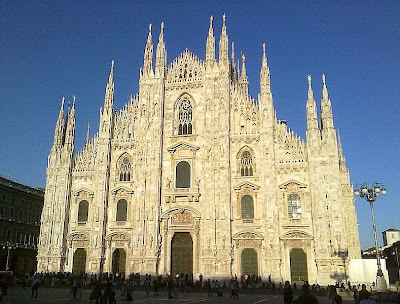 Milan's layout, with streets either radiating from the Duomo or circling it, reveals that the Duomo (means Cathedral), occupies what was the most central site in Roman Mediolanum, that of the public basilica facing the forum. 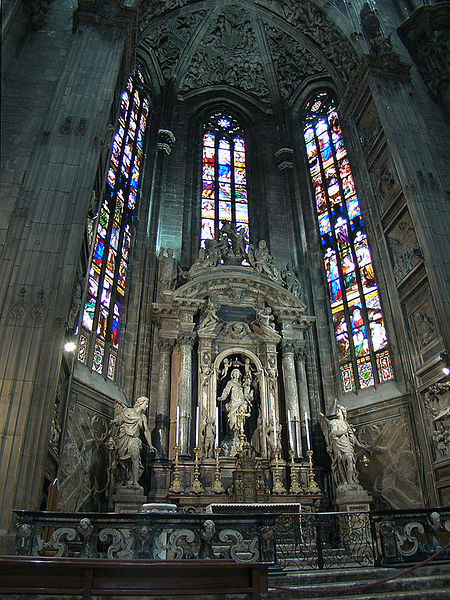 Saint Ambrose's 'New Basilica' was built on this site at the beginning of the 5th century, with an adjoining basilica added in 836. 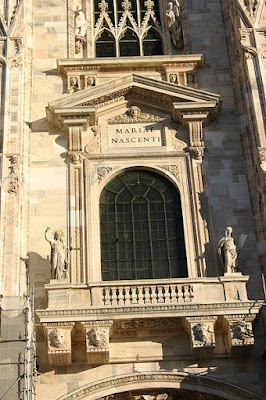 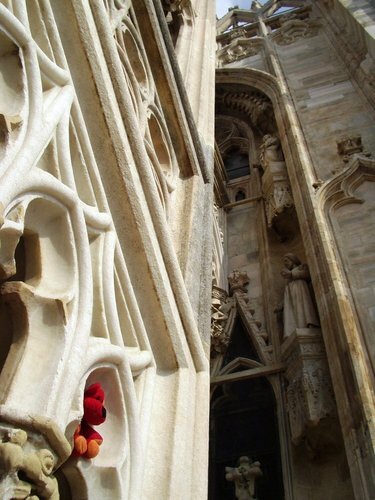 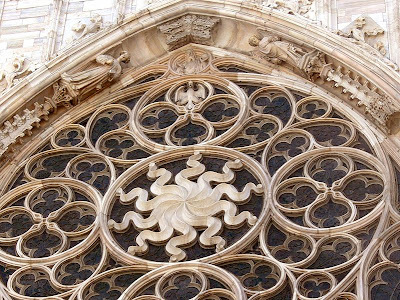 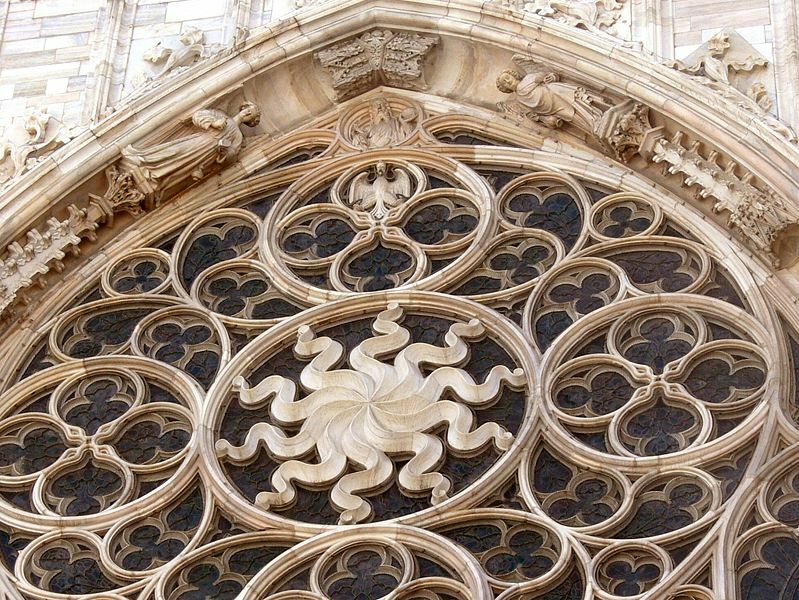 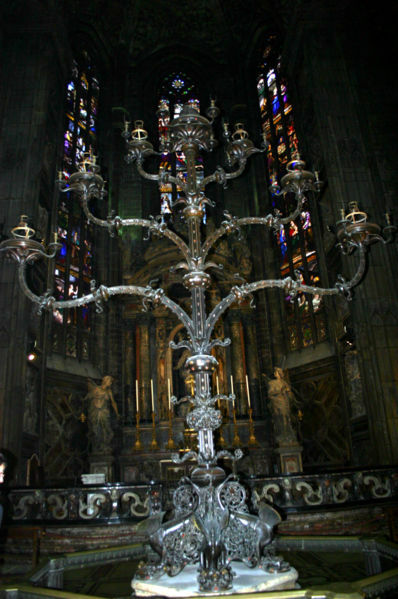 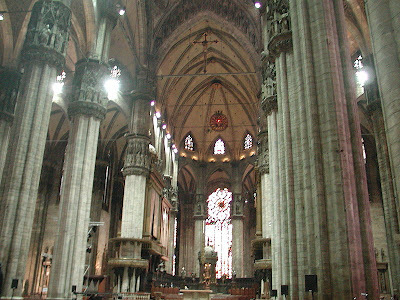 When a fire damaged both buildings in 1075, they were later rebuilt as the Duomo. 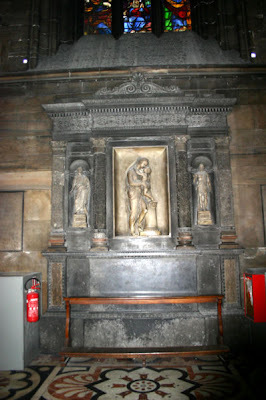 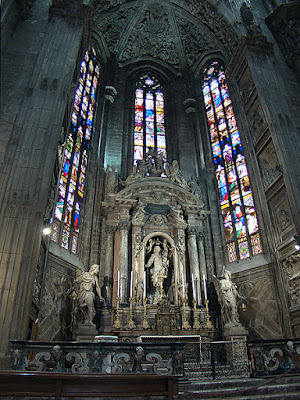 In front of the former mausoleum is the most renowned work of art of the cathedral, the St. Bartholomew statue by Marco D'Agrate. 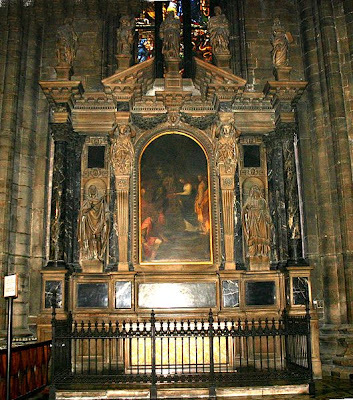 The presbytery is a late Renaissance masterpiece composing a choir, a Temple by Pellegrini, two pulpits with giant telamones covered in copper and bronze, and two large organs. 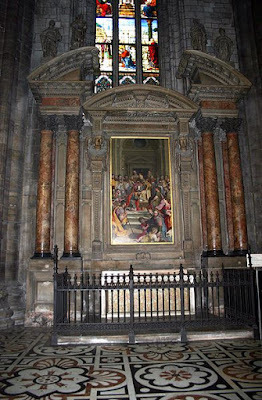 Around the choir the two sacristies' portals, some frescoes and a fifteenth-century statue of Martin V by Jacopino da Tradate) can be seen. A small red light bulb in the dome above the apse marks the spot where one of the nails from the Crucifixion of Christ has been placed. 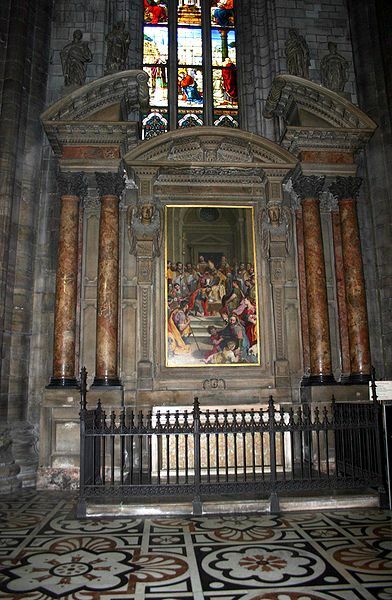 In November-December, in the days surrounding the birthdate of the San Carlo Borromeo, a series of large canvases, the Quadroni are exhibited along the nave.